Last race of the year and the muddiest ever and my grumpiest. We were doing coaching in the under 9s first. The first thing we did was slaloms around posts, the second coaching bit we did was with the bridge with the drop off. I did the drop at 3 blocks high. The next bit of coaching was picking up a bottle then either put it down further along or pass it to someone. 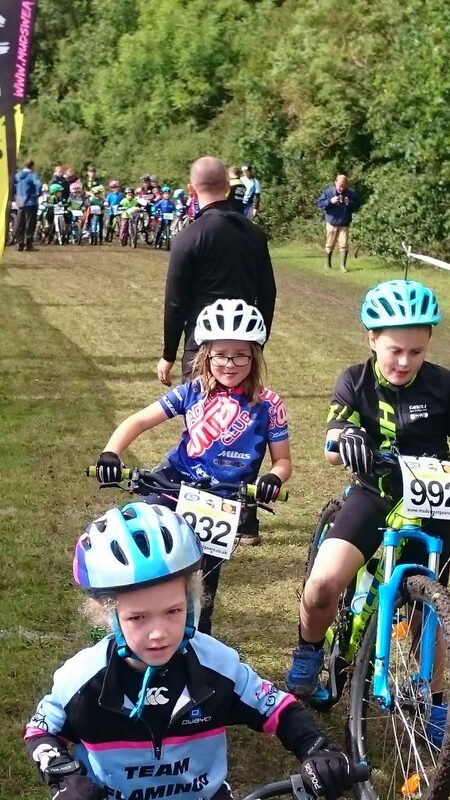 I was gridded in my race in 7th place i think, i started well and overtook about 4 riders going up the little hill, when we turned we went down a big drop which was muddy. The straight was thicker mud and we turned right to a tiny hill. Coming around onto my second lap one of the other riders was just in front of me and daddy shouted i could catch her, i did catch her but she caught me up again on the next uphill. I really enjoyed the race today, can't wait for next season.